(Fingal) Battalion of the Irish Volunteers under Commandant Thomas Ashe and Lieutenant Richard Mulcahy fought a battle against the Royal Irish Constabulary at Ashbourne in County Meath. 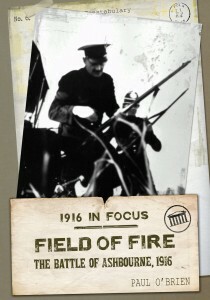 After five hours of combat the Irish Volunteers had killed eight policemen and wounded seventeen others. This is the true story of a horrific battle outside of Dublin city, a battle that would be a template for many others that were to come later during the Irish War for Independence.